Consider what course can be taken abroad, how credits and grades are transferred. Based on your preliminary academic plan and college/departmental research, determine which term(s) are most desirable for study abroad while staying on track for graduation. You can study abroad for multiple summers and semesters. 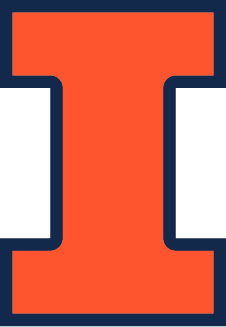 You do not have to take courses that apply to major, minor, general education or liberal education while studying abroad if you are able to satisfy those requirements in your remaining non-study abroad terms at Illinois. It is not possible to participate in a spring program in your final semester and still walk at graduation. Now for the fun part! Use our Explore tool to find one or more programs that align with your academic plan. (For example, with coursework that matches the criteria outlined by your major or minor) If you are having difficulty navigating the many programs offered, take advantage of advising services in 210 Engineering Hall. Using program and host institution websites (if applicable), identify courses that are offered on your programs of interest, and create a tentative course list. Then look to see if the courses are already approved in our Study Abroad Course Approval Database. If they aren’t then you will work with the study abroad advisor for the respective department to approve the course before you go. Course offerings are subject to change, so consider course alternatives in your planning. Also, make sure to note and plan for any course prerequisites of the courses you wish to take abroad. Consult with your major/minor department advisers to determine if your tentative academic plan (including the term of study abroad participation and intended coursework) is achievable. Bring course descriptions and, if available, syllabi for the courses you wish to take, including the credit value of the courses. Discuss the requirements you have left to satisfy for the major/minor and which might be best accomplished abroad. It is not the role of your major adviser to recommend programs for you. Departmental advising for study abroad are primarily to assist you in understanding the policies of that college or department with regard to study abroad participation and to advise you whether the tentative program and coursework you are considering are likely to keep you on track for graduation. Adjust your academic plan with your advisers, and begin the program search again as necessary. Even if you are not planning to complete degree requirements while abroad, it is still recommended that you meet with your department(s).